Today has been the best day EVER. 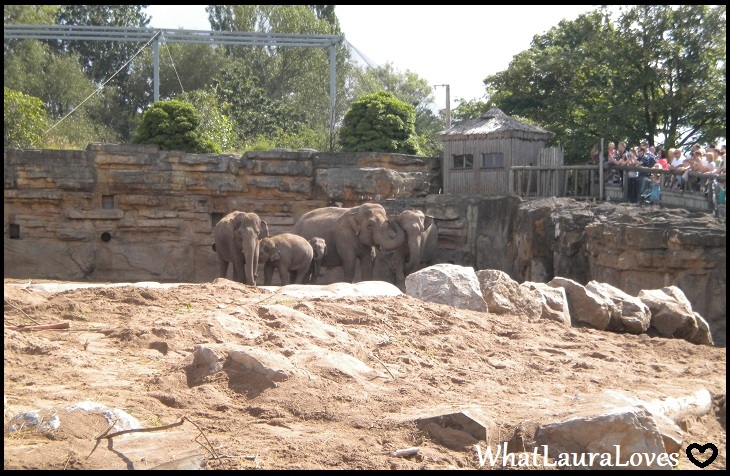 Mr WLL took me to Chester Zoo and we saw Giraffes and Elephants and it was just AMAZEBALLS. Absolutely loved it and it was definitely worth adding another 3 hours onto our already 3 hour journey after getting caught in the flash floods in Chester. If you’re looking for a great day out then I’d highly recommend it. I’d also recommend these pedicure products from Dirty Works that I’ve been blogging about this week. I’ve got a pedicure routine post coming up next week which will show you how I use these products and in which order to stay tuned for that. There’s been a great mix between fashion, makeup, skincare and jewellery on my blog this week. I posted two WhatLauraWore outfits this week which are some of the prettiest outfits I’ve worn in a while. The first was the floral drop back dress from AX Paris which lots of you said you loved on Twitter and the second was my favourite outfit at the moment featuring a gorgeous coral pussybow blouse. I also blogged about the makeup that I wore in the latter post. Its a makeup look I’ve been wearing a lot lately, particularly when going to work. It’s now just over a month to my main holiday this year and I cannot wait. I finished all of my holiday clothes shopping this week and now I’ve started on accessories and jewellery. I picked up some great bargains on some silver jewellery in the Roam half price sale in New Look and blogged about them this week. What have you been up to this week? Is there any other good days out you’d recommend (preferably in the North!). if you ever come to las vegas i can definitely recommend a few places, but if i'm ever in chester i'll head for that zoo!